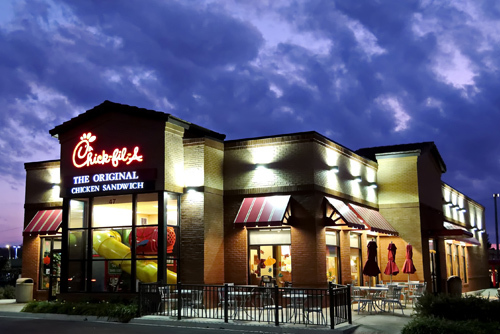 [by Sandy McIntosh] The people who manage Chick-Fil-A, an American fast food chain have been severely criticized for their opinions about traditional male-female marriage. Because of their beliefs, they do not support the institution of Gay marriage, and they have expressed their opinions publicly. Their stance is pro marriage, but they are commonly described negatively, as Gay haters (watch this YouTube clip). And then there is Adam Smith, who was the CFO of a company based in Tucson Arizona. He has a nice family, and he earned about 200,000 a year, with one million in stock options. The family loved their home on a hillside, with a pool and jacuzzi. For Adam Smith, the results were immediate, he lost his job, and the next one in Oregon, and now his wife supports the family. There is a rumor that the family now lives in a motor-home and buys groceries with food stamps. So how should Christians respond? He persecuted Christians and he got what he deserved? No. As a Christian, if I got what I deserved I wouldn’t even live in a motor-home. I am forgiven; I did not make myself good. And consequences are always unbalanced and unfair. One small bad idea does not equal a ruined life. Internet trolls, and other whining critics are popular these days, but I think they are ineffective. They may be annoying, but they also leave a digital trail that will never disappear. When companies consider hiring new people they routinely use Internet consultants who find digital footprints that might embarrass the company. My wife manages an apartment and she does the same with prospective tenants. We should all be careful. Remember “They focus on hating other people, just like Jesus.”? That foolish comment will never die, it will outlive the speaker. You can’t un-ring a bell. The author Vinson Synan grew up in the southern US during the emergence of civil rights for blacks, and he remembers being told that it was wrong to slander Catholics and Jews. His family attended a Pentecostal church, and he also remembers that everyone, of all races and creeds, heaped abuse on “Holy Roller” Pentecostal Christians. It was the one legitimate outlet for bigotry. Those Christians got their beating long before Chick-Fil-A. I remember saying “Holy Roller” as a boy, and my parents corrected me severely. I think they were burned by that criticism in their Free Methodist days. My point is, slanderous criticism is only noise; it accomplishes nothing. Chick-Fil-A will probably continue to prosper for many years, and outrageous criticism will endure to burn the critics. Christian churches can grow as much as they want; Christians can live the lives they choose. Persecution of the early church convinced millions to join those brave Christians. We have much to do, and no force to hold us back. In the word of Jesus “Woe to you, when all people speak well of you, for so their fathers did to the false prophets.” (Luke 6:26).